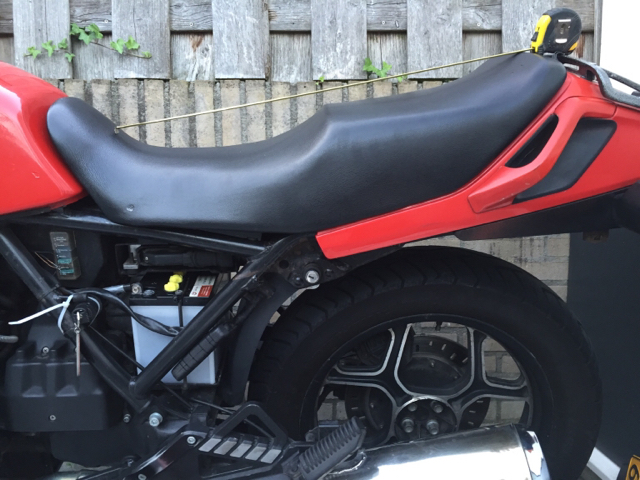 I'm new to the forum as a member but checking around for a while now, looking to some cafe racer projects and it convinced me to get a BRICK myself. I just bought my first bike and what kind of bike. 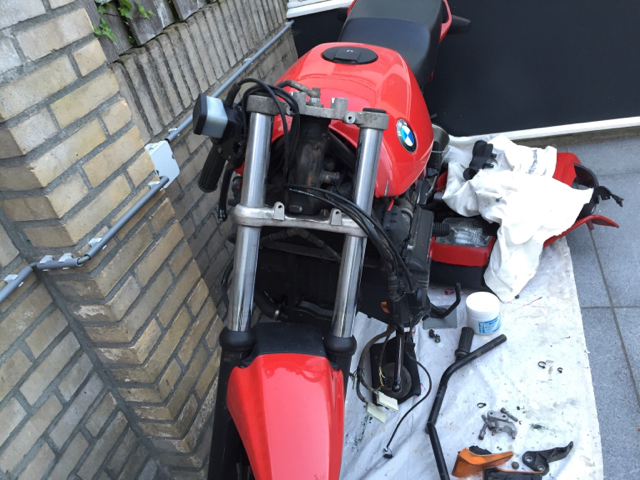 A BMW K75S ex 1989 !!! During this year I got my licence to ride a heavy bike (24jrs +) I mean overhere you can have be 24+ or take a second exam after you got 2 years+ driving experience. Welcome to the Netherlands :) anyways I got one and now I got a bike. I was looking around for a year now to get a base for the caferacer, looking at some Honda, Kawasaki and Yamaha bike's. 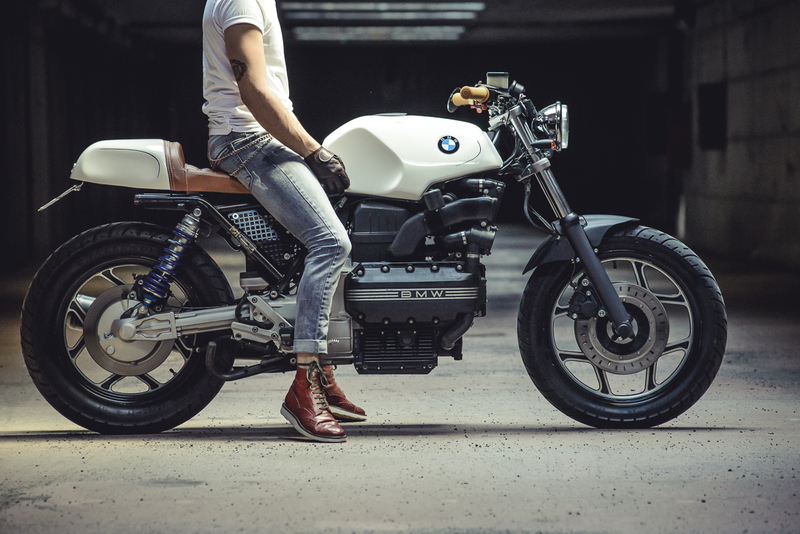 I saw so many good looking CR's (cafe racers) but the BMW got my attention. The look and feel of driving this bike is amazing together with the quality of the bike it's amazing. In a few months I will start doing the job to make a CR of it with. 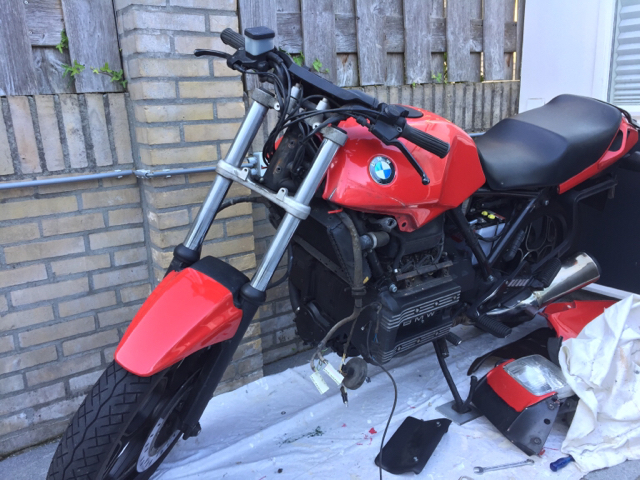 Just starting this topic to introduce myself and drop my bike on the before and making updates with pictures during the project. Will get back at ya ! Nick, you have picked some fine inspiration..........good luck on your journey. Plenty of folks here have travelled that path and can help you. Be sure to research the Liebrary on........related topics before asking. How about a pictorial on your bike before you start conversion? And educate us about the age requirements of heavy & non-heavy motorcycles ........24 seems a little old for driving restrictions, how do they enforce folks riding big cc's?
. . . how do they enforce folks riding big cc's? If they don't do what they're told , they get spanked, Ace. Latch...........You were more real when we could see your bearded face staring at the atlas, contemplating your next two hour ride to the four corners of Vermont, but now with your back turned from the camera, staring forlornly toward Labrador, you seem to be drifting away. Latch, come back, Laitch, don't leave us! Let me explain al little. Had no idea the regulations were that restrictive. Bet license, registration, taxes, insurance are a bunch! Pretty soon only old people will afford big bikes. Pretty soon only old people will afford big bikes. Hahahahaha ! No Ace, your wrong. Getting the licence is a bit messed up as I see it. But a lot of youngsters above 24Jr drive a big bike ghehehe. Start out with specific ideas or modification you want to consider, you may get more input if you are specific on the topic. As for "how do I fiddly, do your research before asking others, that looks lazy. Had no idea the regulations were that restrictive. Bet license, registration, taxes, insurance are a bunch! They've legalized prostitution and marijuana over there to ease the pain of bike ownership, Ace. 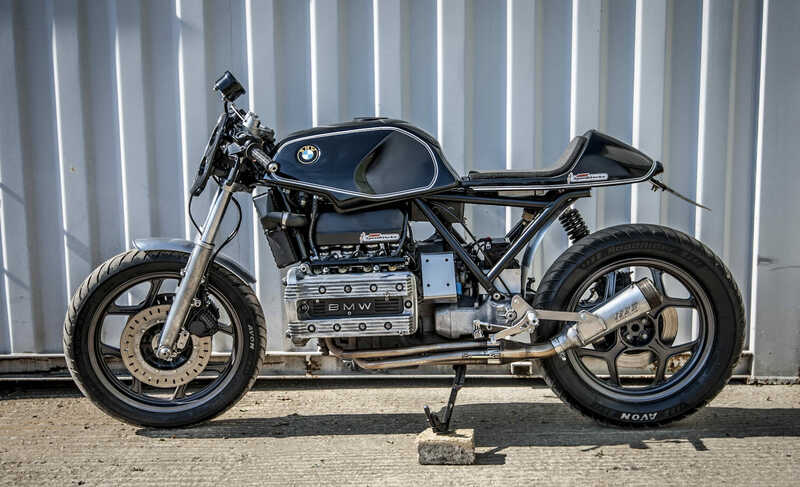 Anyway, Cafe4Racer is a vendor dedicated to cafe bike parts, Nick, and these pages are dedicated to K-bikes. At least one member here, Macgyver, has ordered from them and he seemed satisfied. Yeah, maybe Laitch, but to stay stoned from 16 until 24 to overcome lack of access to big c.c. bikes just sorta wouldn't have worked for me back in the day...........I have always been compulsive when it comes to my compulsions. Just sayins I think there must be a bunch of go-fasters riding above their legal limit and getting away with it. Now those stories of flagrant violation of the motorcycle regulations would be real interesting. You know, you just don't think of those Dutch folks being rebel bikers. Although I met a Netherland dude,about 50, at a campground at Yellowstone who was very proud of his Victory Ace and restored '65 Mustang. Imagine our conversation as I argued the superiority of BMW's over Victory's. Thank you Laitch, Ace, for the kind reply. Yeah I will search the forum bottom/down to look for any solution I can't figure out my own. Also realy like to hook-up with some topic's of fellow builders. Hahahaha yeah we got POT on each streetcorner or coffeeshop, regarding the lady's I mean happy that there is such a service but not a complete fan of it. A lot of woman are pushed and beaten down to do such a job as that, on the other hand I think it will keep a lot of sexual abuse out of our country. Anyways, back on topic. 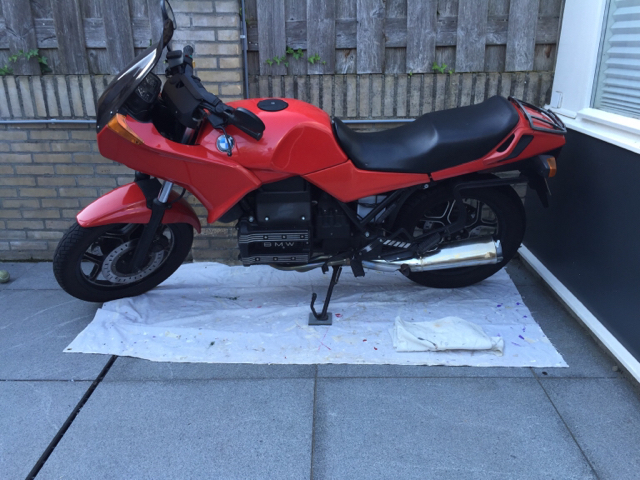 The weather is getting better and after a good wash this Saturday I will drop some pics of the BMW's beautiful iron BRICK. Nick, to answer your question on riding double, I saw the answer(in my opinion) on the internet lately. It was a bike that was a CF with a removable tail. When you removed the tail, there was an additional seat pad that bolted in place. It then looked like a scrambler. Obviously, you couldn't stash electronics in the tail, but it was ingenious. Personally, I like modular options. I always thought it would be cool to build an entire 'kit' for a bike so that you could change the entire look and color in 20 minutes by swapping bars, seats, tank, plastics, even wheels with different tires already mounted. Attached to the original post a picture of the lady ! I bought some parts, strap-ons 41mm black, headlight with turn lights in it. What do you guys think? and a taillight with licenceplate holder. Like the tail light and strap-ons's ( do they have two tightening bolts ? Usually factory strap-ons's have a peg and socket to hold them in place. With out it single bolt clamps tend to turn and rotate on the forks. A lesson that scared the hell out of me on the track on an old SV1000 I used to ride ! The strap-ons have 2 bolts and cnc machined to 41mm to fit the K-bikes. I could imagine that using only 1 bolt will get faulty once. Regarding the headlight, it's just a start. I'm also not sure about it but it is worth the try in my opinion. Well see what happens on the road. I got a bunch a friend who would love to test out in dark it will be clear to see which direction i'm tending. Will keep you guys posted about the other upcomming items. For now I will keep chilling out in Dubrovnik. Sun sun sun! Yesterday I started the teardown of the K75S . This week cleaning the fork and lowering it is on the agenda. Also ordering a new flexible front brake cable to arrange the strap-ons will be done. Regarding my tank, when I take it of to store it for a couple of weeks. Should I leave the fuel in it or make it empty? Use a syphon pump to drain the safely.e tank into an approved gas container. If the fuel is old, dispose safely. The fuel is fresh, I drove the bike 2 days ago for the last time and the fuel is like 1 week old. Tomorrow I will bring the tank to my work we have a workshop where I can get rid of the "eyes" left and right of the tank and blast sand the tank. Update's of all will follow. Does any one has expireance with separate (open) air filters on the intake ? Sand blasting may be too harsh, be careful when you blast the tank as it is only aluminium. Here are some picture of the teardown of the tank, air filter, carbs and also I took out the grip heater. For now, cleaning, cleaning and cleaning. I am slightly confused, it sounds like you are replacing the throttle bodies with carburetors, if so what carburetors are you going to use, and I presume you will remove the fuel injectors. If you are just replacing the filter with three K&N filters where are you going to fit the air flow meter? Nick, you should consider studying how your bike works and what you call its parts so the rest of us will be able to understand what you are doing—no carbs on your K75. Go to Vogel's troubleshooting page, scroll past the troubleshooting chart and read about how the various parts work with each other. Your 90º rotation air intake scheme will not work the way you intend unless you include the air flow sensor in it. After you have read Vogel's explanation of the components, here are two more posts to read. 1. 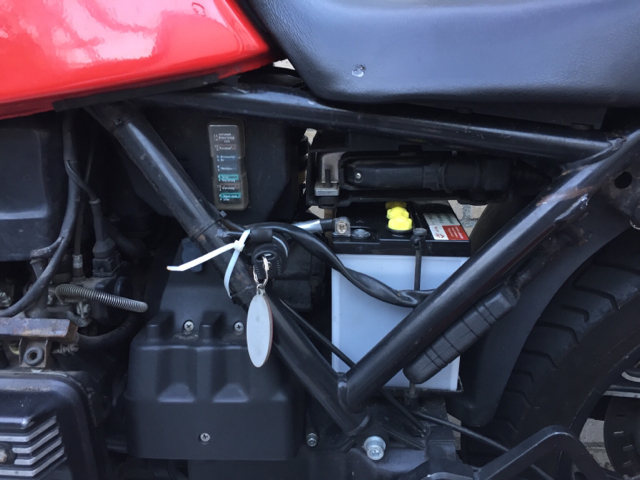 This one from rbm is about the air flow sensor limitations to modification. 2. 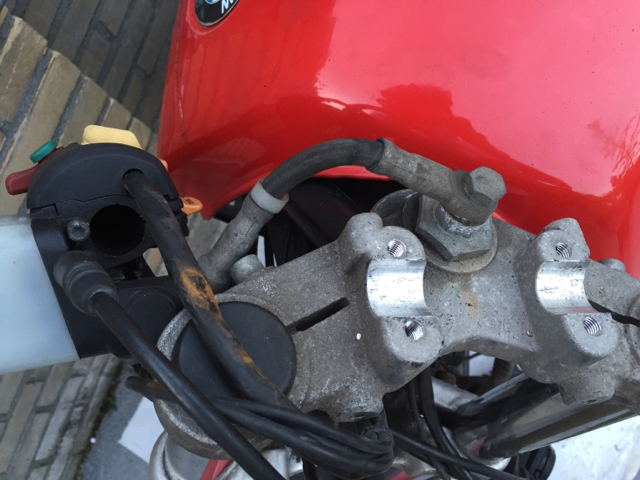 This one is how Chaos used a single pod filter to modify his bike.